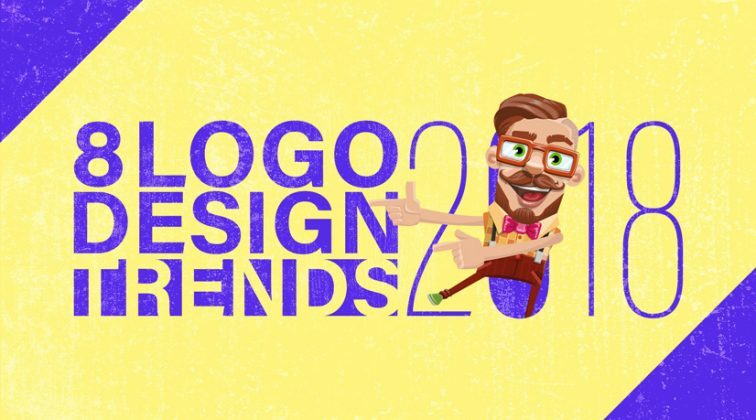 Wanna check out Logo Design Trends 2019, as well? 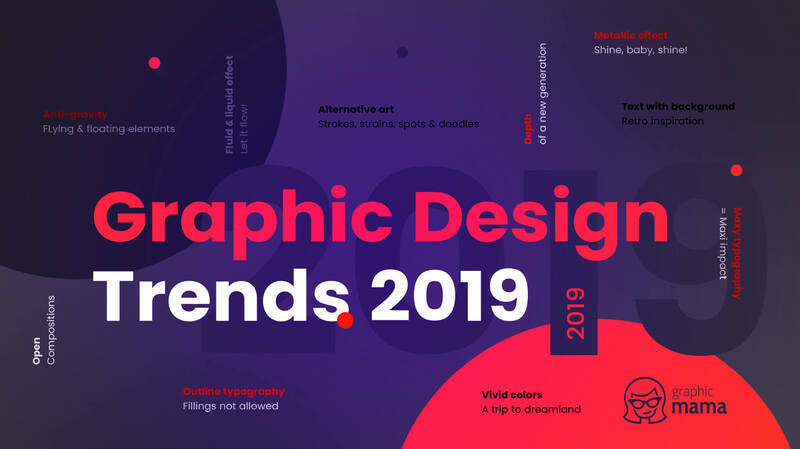 Keep scrolling to discover more details about graphic design trends 2019. 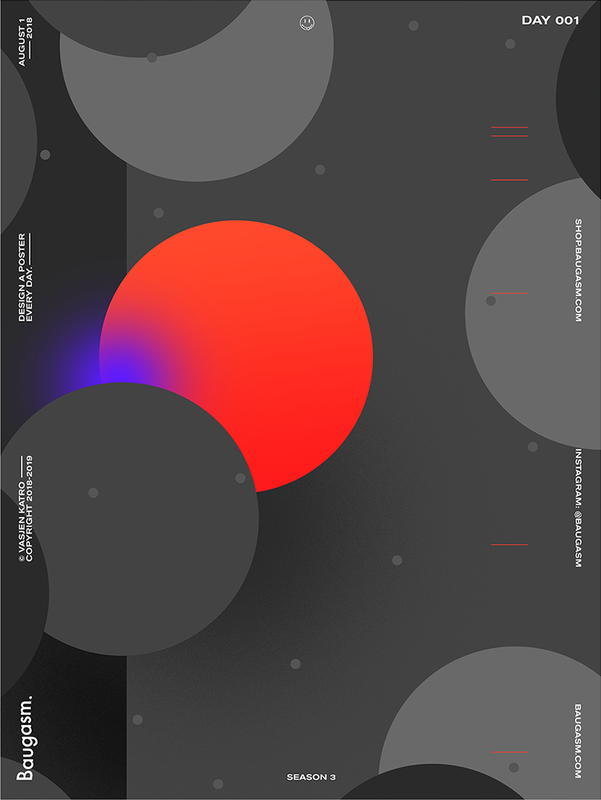 The first of our graphic design trends 2019 predictions is open compositions. Not so long ago, designers used to put frames on everything to achieve the feeling of a finished design. Lately, there has been a tendency for open, airy designs which seem to show only a part of the whole “picture”. In 2019, we expect from designers to ditch the frames completely and surprise us with open, airy designs. While each piece seems to show only a part of the whole design, designers can easily play with the composition and make it literally infinite with each part continuing the composition. 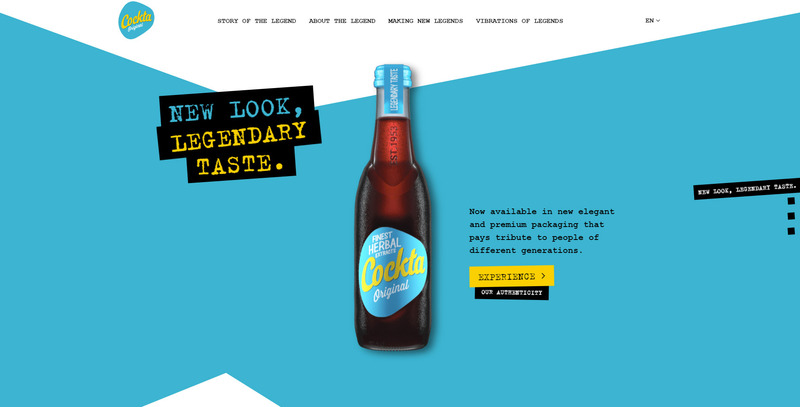 This trend is easily achieved in web design but it is possible even on print designs. Open composition often tap into the viewer’s imagination, making you wonder what else is there. 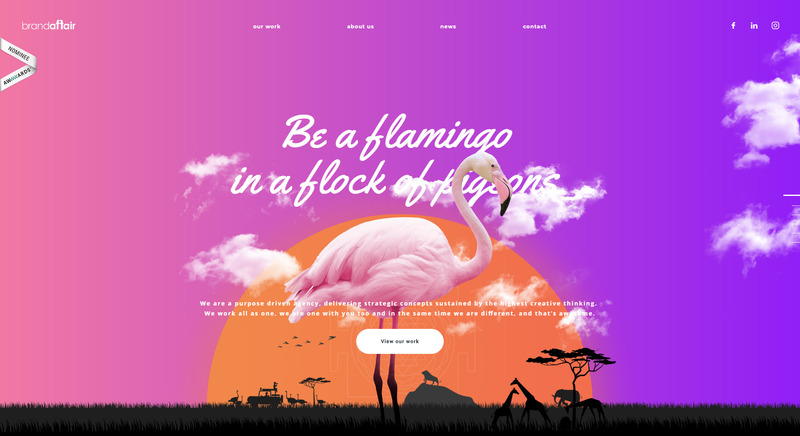 Web design, as a part of the graphic design, in 2019 will also characterize with full-width open compositions and interactive websites to prolong the experience. 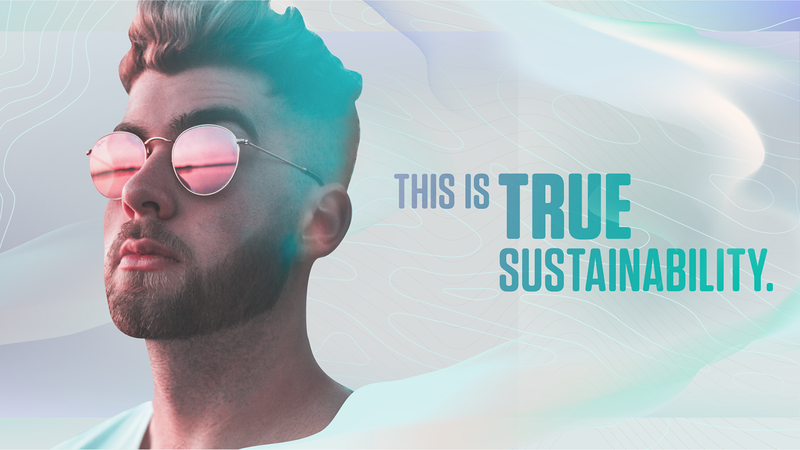 3D cannot possibly not make ti into graphic design trends 2019. 3D has proved itself as a quite stable and persistent trend for the last few years, so we are definitely going to see a lot of it in 2019. 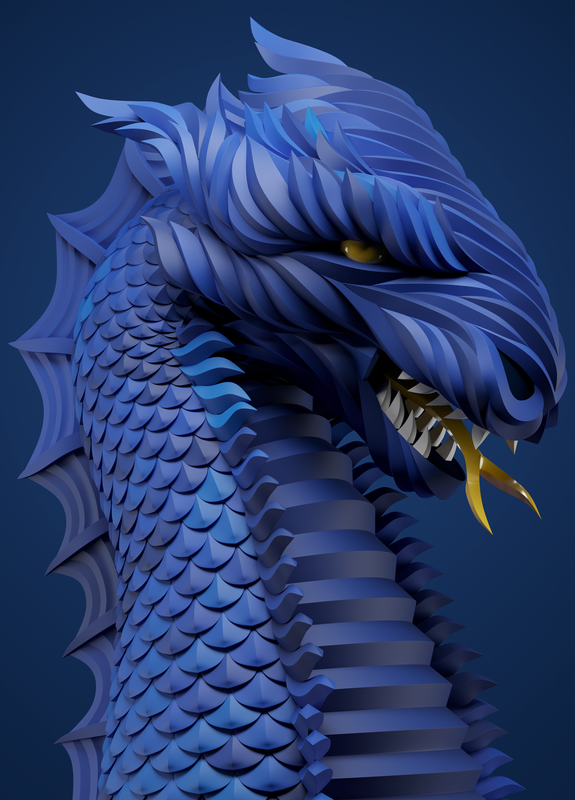 Luckily for all of us, technologies are evolving quite quickly allowing graphic designers to create amazing 3D masterpieces which make the viewer the almost immerse into the design. 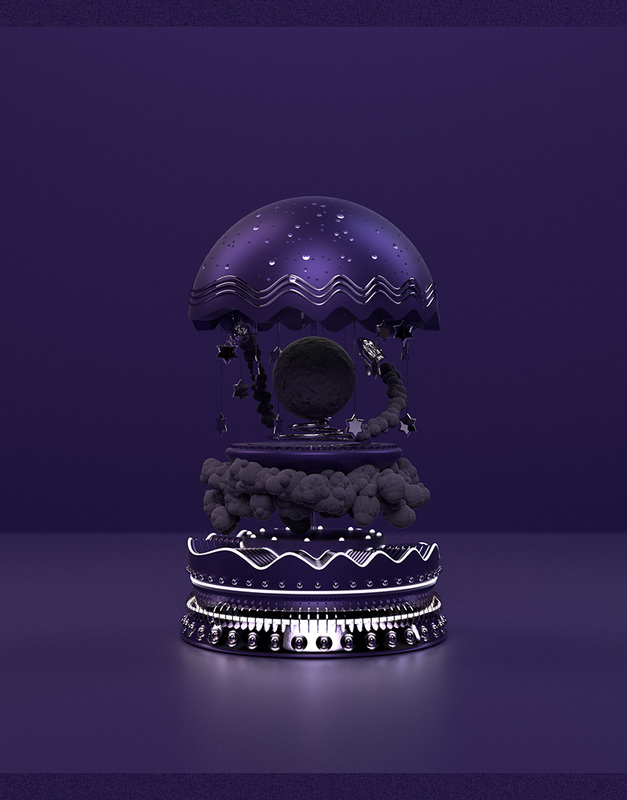 The 3D trend is definitely going to be a huge part of web design in 2019, more often presented as open compositions taken up the roles of windows to another world. Designers will recreate pieces that remind of the real world and ones that take us to alternative universes or even into the future. The possibilities that this trend holds are really infinite, so in 2019, we certainly expect that this trend would flourish. 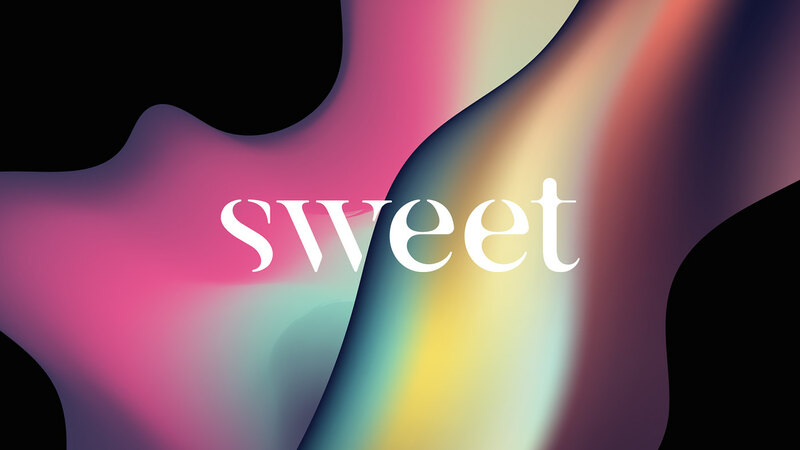 Typography will be definitely not bypassed by any of the graphic trends 2019 including 3D. 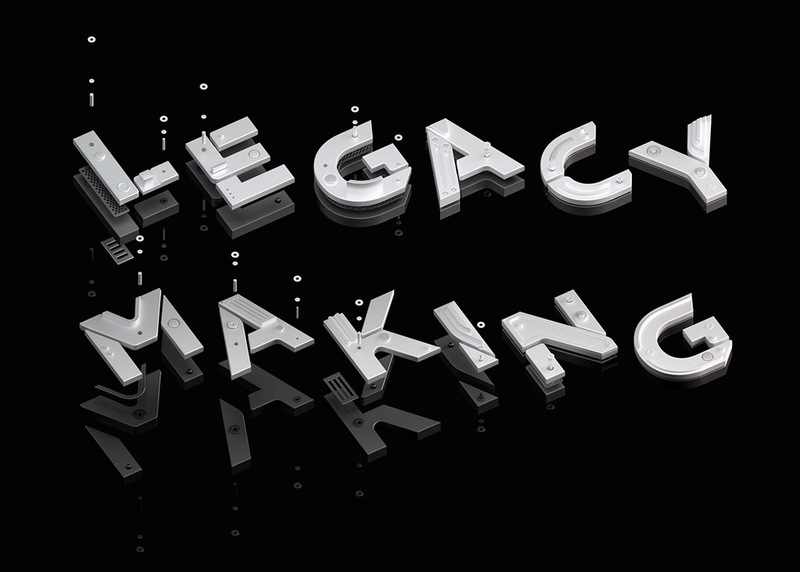 Often created as the main visual element of the design, 3D typography gives designers freedom to improvise. 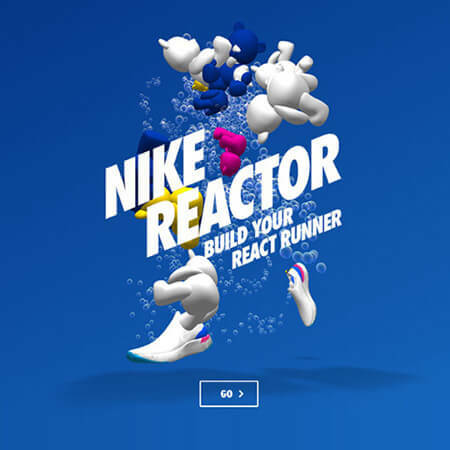 Even by using 3D typography alone, graphic designers in 2019 will be able to make us immerse into a whole new world. We may not have lived to see flying cars, yet but the era of flying elements in graphic design has definitely come. 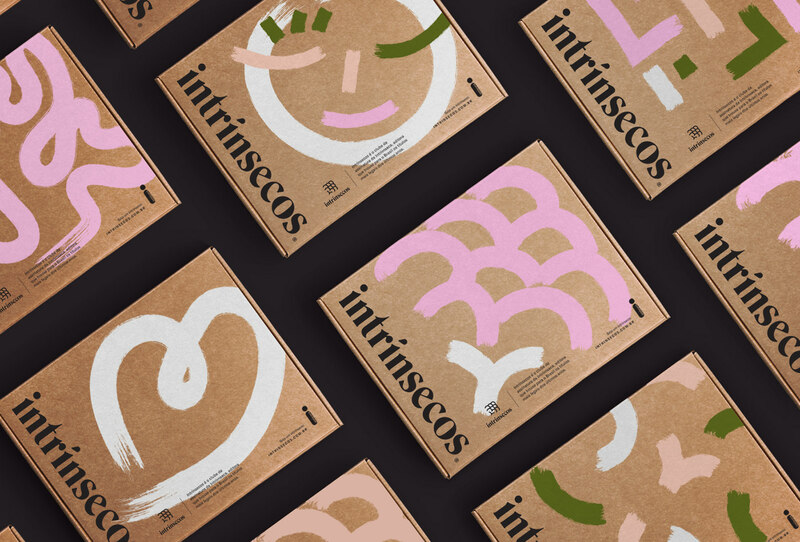 Flying and floating graphic elements are among our graphic design trends 2019 predictions. The idea of designs which move and behave like they are in a non-gravity environment conveys the overall feeling of freedom. Designed with an open composition in mind, these elements boost the major concept of a window to a new world, as they appear floating in and out of the screen. The 3D technique is often mixed up with the non-gravity concept which adds up to the realism of the composition. 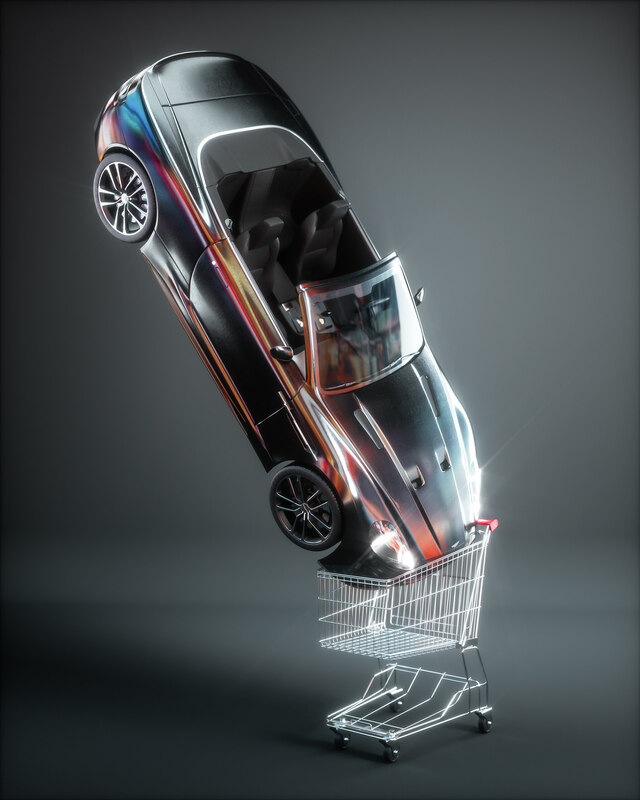 While 3D is certainly a field to unleash your designer’s potential, then the non-gravity concept definitely gives you a green light to spice up the composition even more. The anti-gravity trend also appears in package design presentations, giving the product a feeling that it comes from a different world. The viewer can easily grasp the futuristic vibes when looking to these designs which naturally boost the curiosity. In result, an ordinary product easily transforms into an extraordinary one. 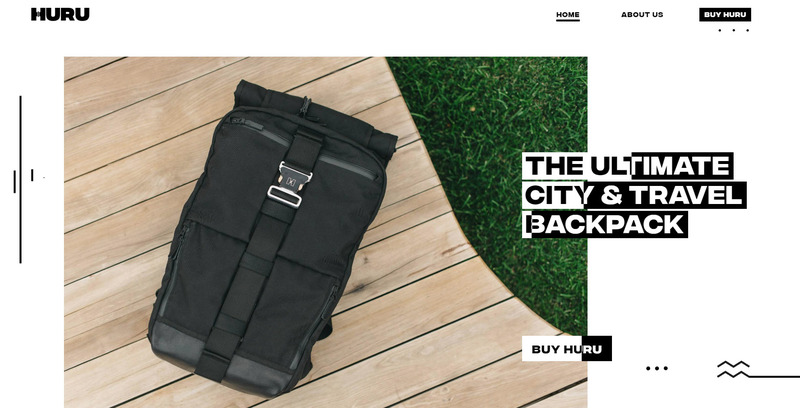 Anti-gravity is indeed a concept that will be seen a lot in graphic design trends in 2019. 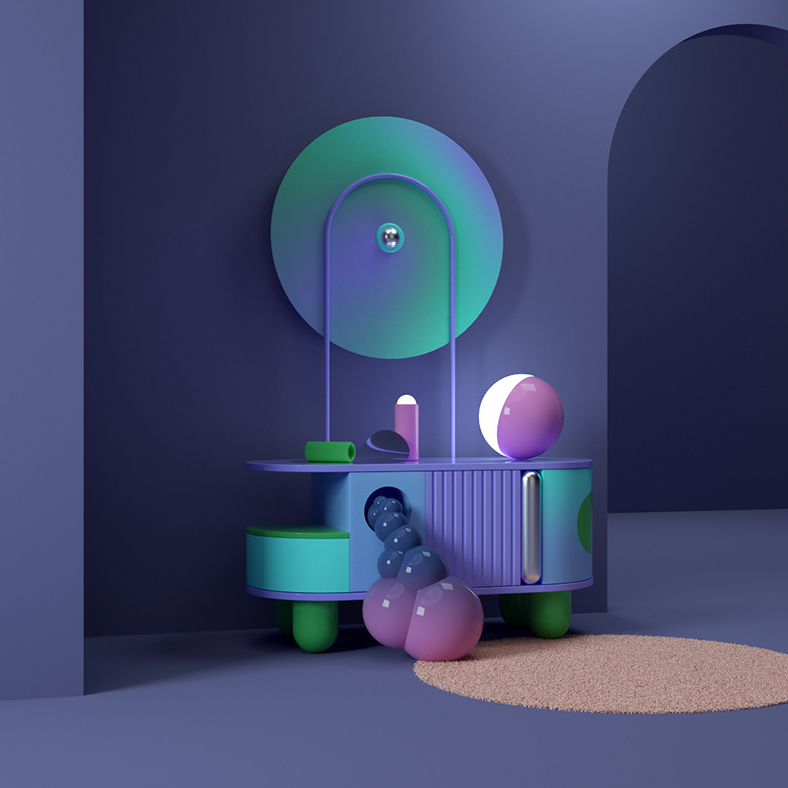 Vivid color combinations, as well as dreamy color transitions and gradients, will continue being trendy in 2019, only even more vivid. As they bring a futuristic feeling to the overall design, these color schemes will make you feel like you are in an alternative universe. Using futuristic colors to create mesmerizing out-of-this-world designs really taps into the designer’s imagination and provides a lot of room for improvisation. 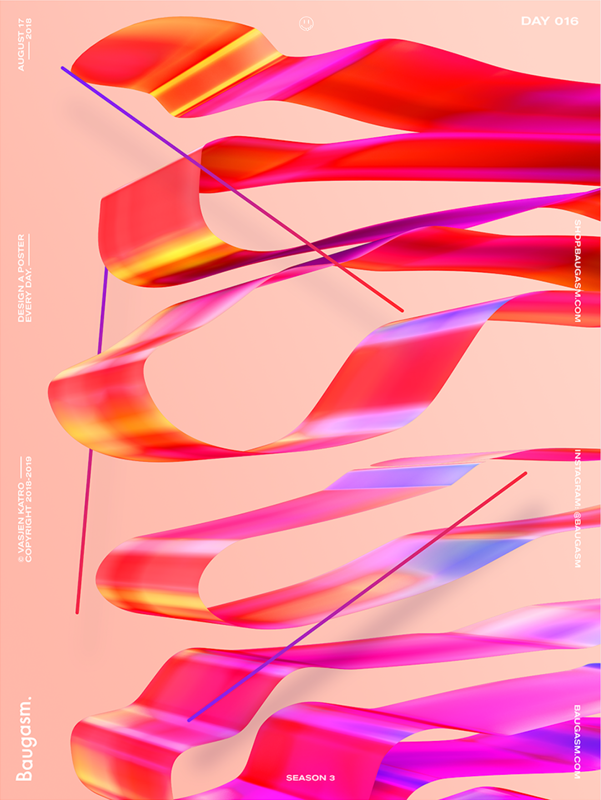 Many graphic designers combine 3D visual technique with trendy vivid color transitions to mark graphic design trends 2019 with even more powerful looks. 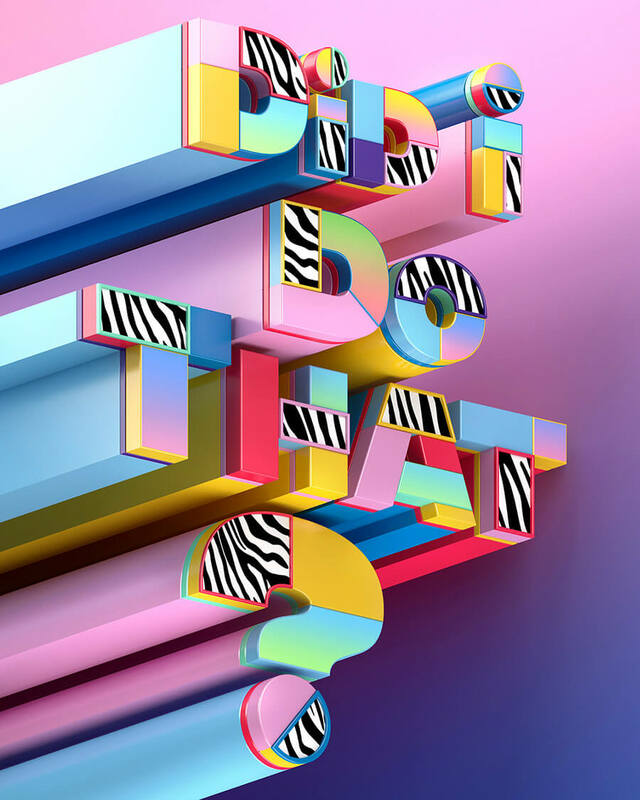 The 3D technique plus vivid color transitions certainly makes million-dollar combination even when translated into a typography design. 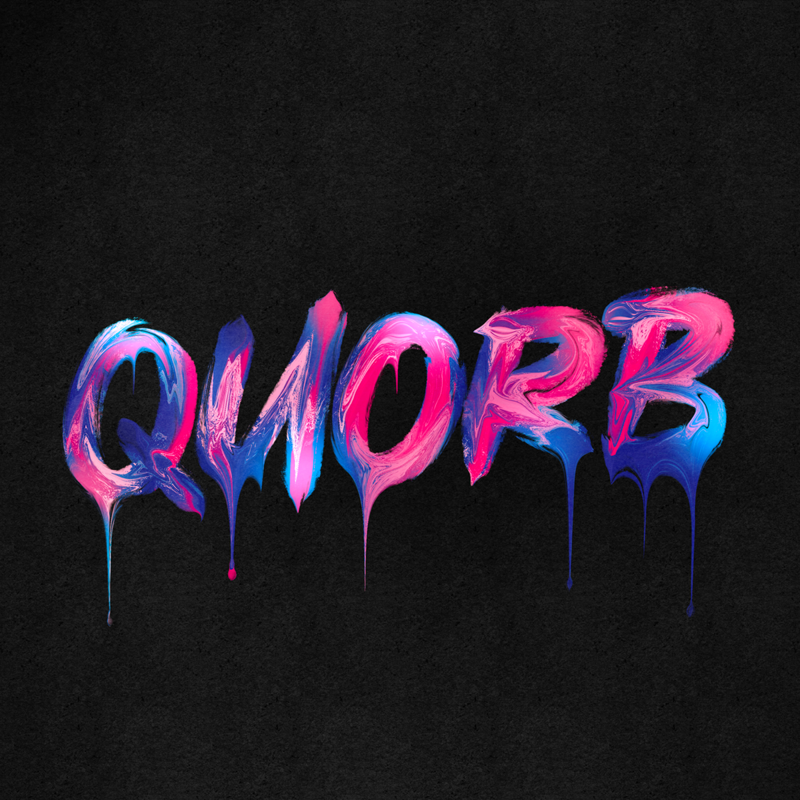 Well, typography is a huge part of graphic design, so multi-color typography designs like the following ones will certainly be common. We are definitely including this combo in graphic design trends 2019 predictions. Metallic effect: Shine, baby, shine! 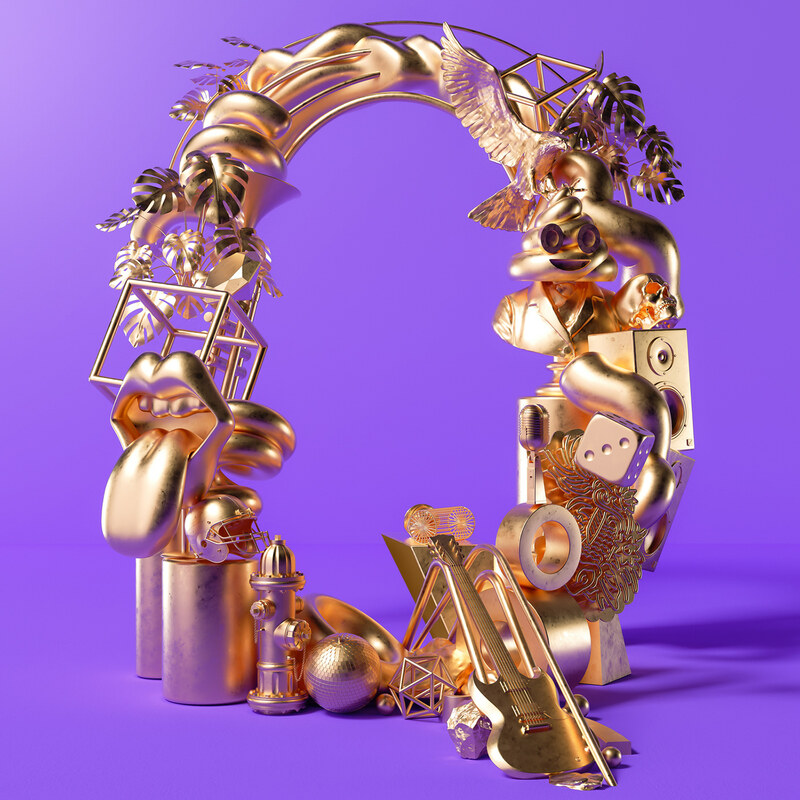 Gold never goes out of style but in graphic design trends 2019, we will be seeing a lot of other metal elements, incorporated into the designs, as well. 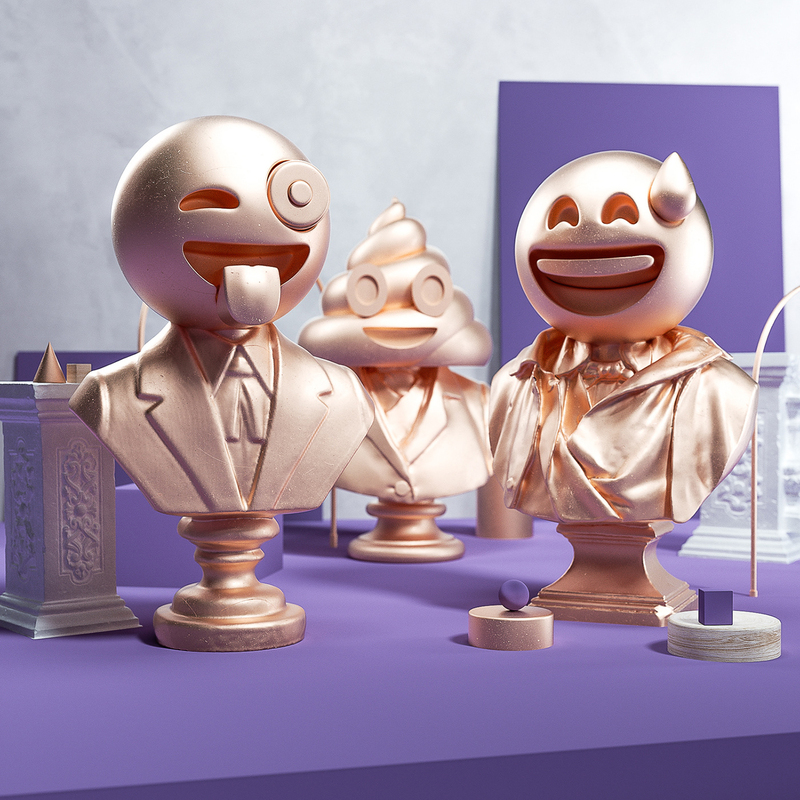 Especially when it comes to 3D designs, golden and other metallic elements take the whole composition to the next level, making it look expensive and exclusive. Displaying various metals with an iridescent color effect is a quite trendy look, as well. Such designs look enchanting and mesmerizing as they show a beautiful palette of lustrous colors when the light hits their surface. 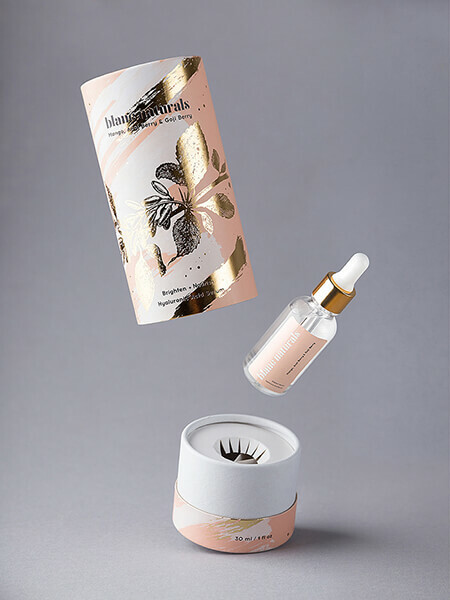 Metallic elements, especially golden and iridescent, will often appear on package design in 2019, giving it a sense of luxury and exclusivity. 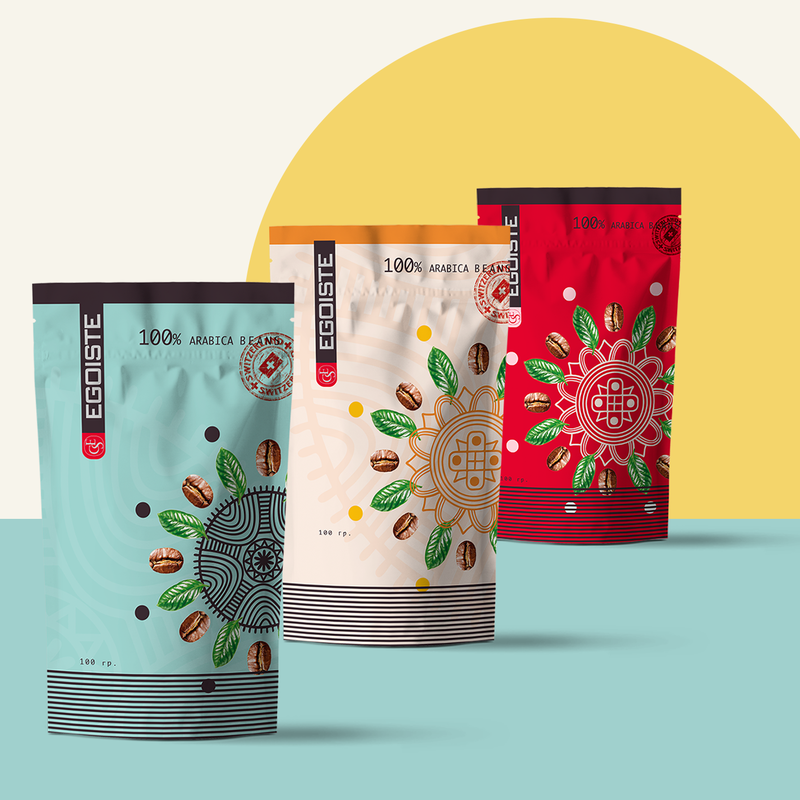 The classic combination remains metallic on black and white but in 2019 we will be seeing a lot of golden on colorful package designs, as well. Fluid & liquid effect: Let it flow! 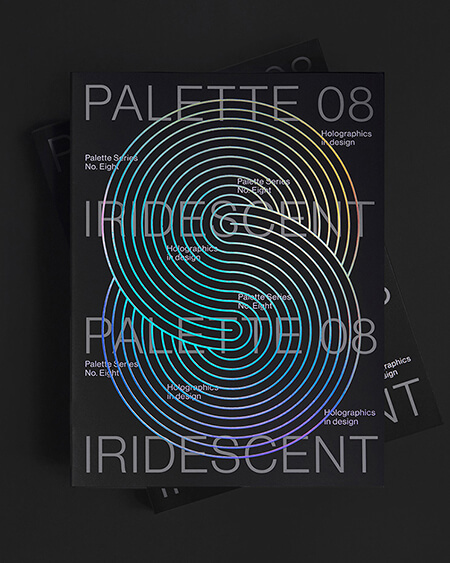 One of our bold graphic design trends 2019 predictions. 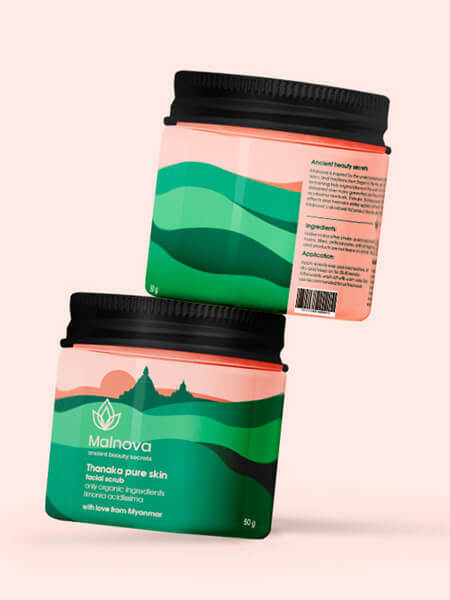 The surface of a water translated into a graphic design is certainly a trend that is going to make it in many visual designs in 2019. Be it water, oil, or another liquid substance, this trend inspires many of the contemporary designs and we expect it to keep it up that way during the next calendar year. 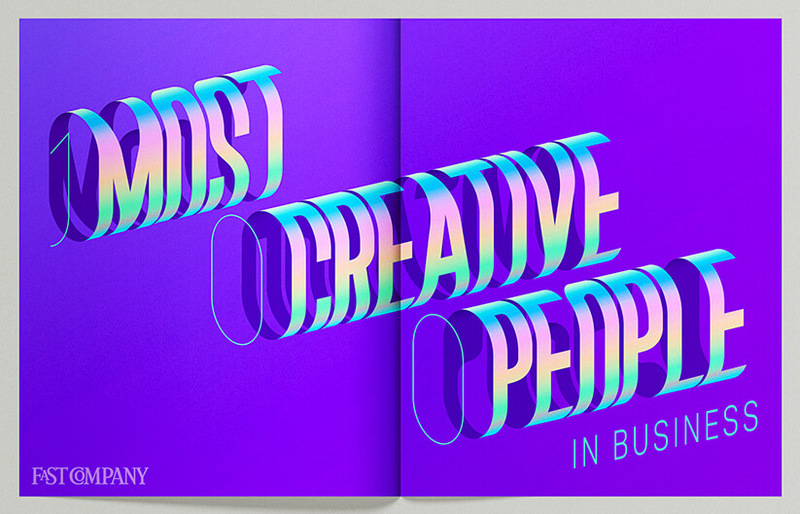 The liquid trend gives a lot of freedom when it comes to typography. 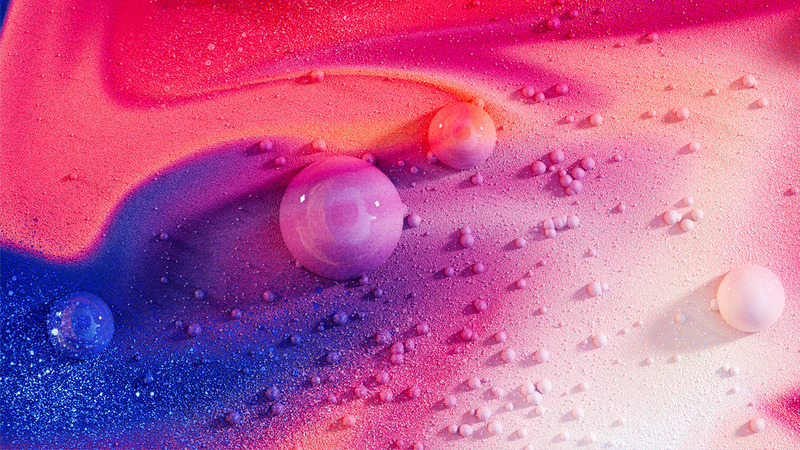 Given the fact that liquids have different states and thickness levels, designers can easily improvise and give their compositions various unique liquid effects. 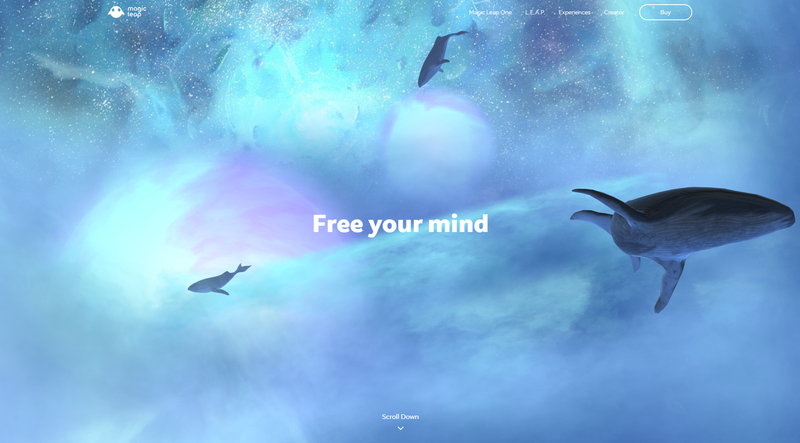 Liquid elements and effects will be present in web designs, as well. 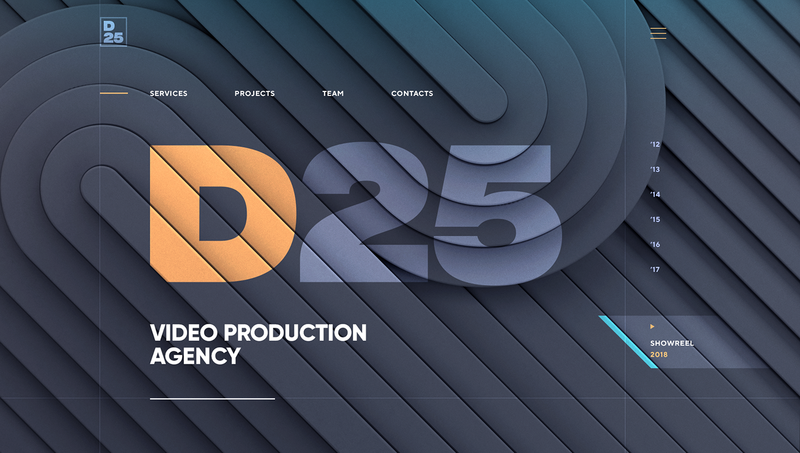 Combined with full-width open compositions, liquid textures in web design make the overall look more imaginary and mystique. Patterns inspired by liquid will also be quite trendy in 2019. When liquids move, they draw natural paths thus shaping unique patterns and textures that can easily inspire graphic designers. Combined with floating elements and futuristic colors, the whole composition can appear really magical and dreamy. 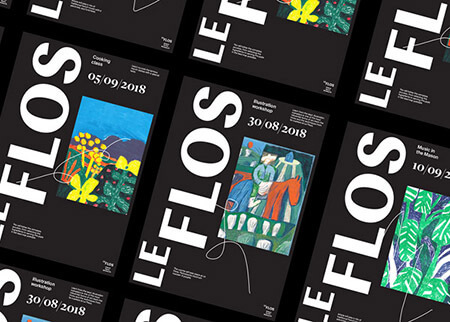 Typography as an inseparable part of graphic design definitely follows certain trends – some that stay for years, and others that fade away pretty fast. 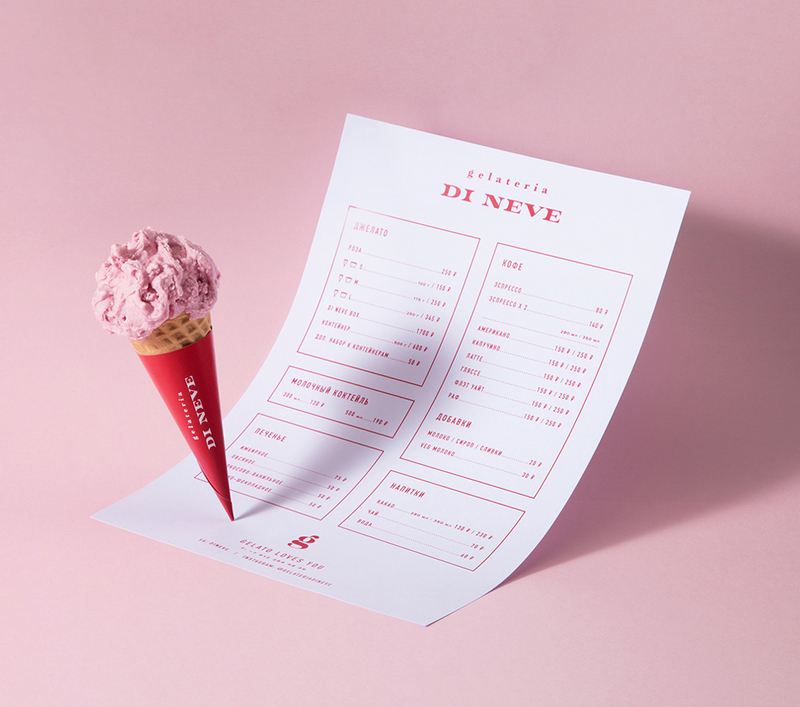 As we’ve seen in the previous examples, typography could take different shapes and forms. It could be flat or come in a 3D shape. It could be liquefied or made with a metallic effect. 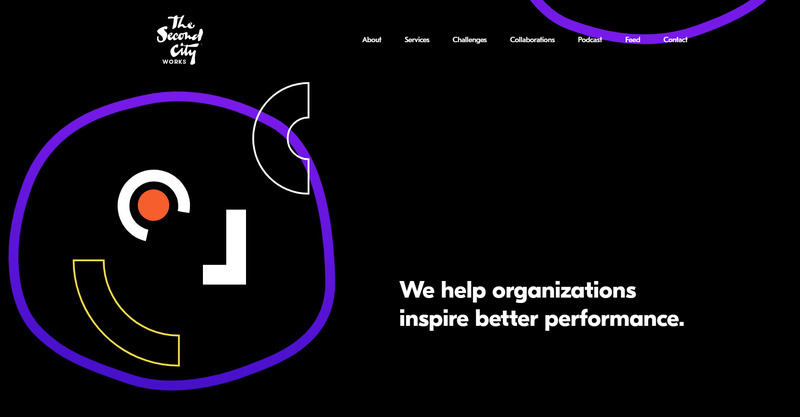 One thing is for sure – typography in graphic design trends 2019 will definitely be maxi. 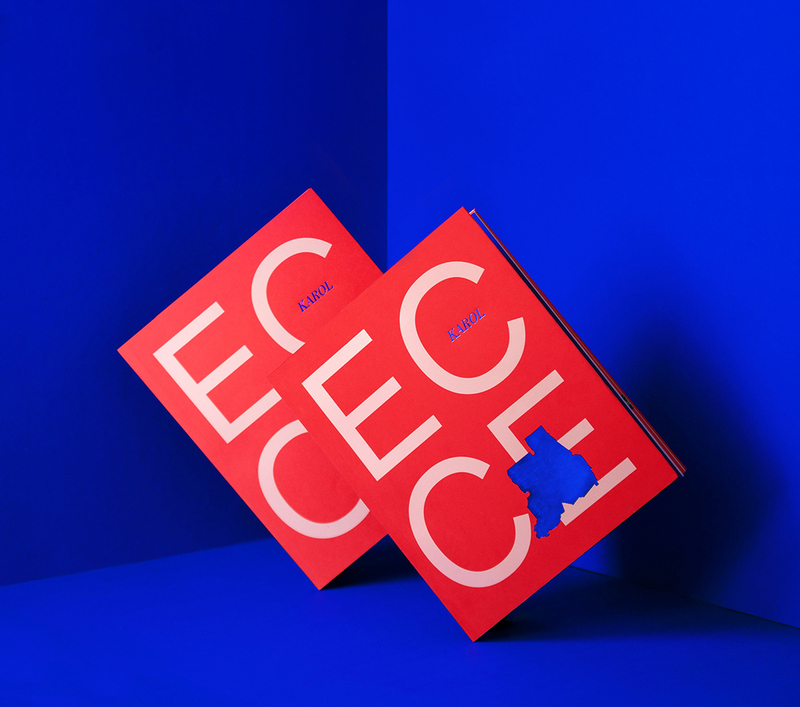 Interested to check out 7 Global Design Magazines You Should Definitely Subscribe To? Moreover, typography will be actively involved in the design. 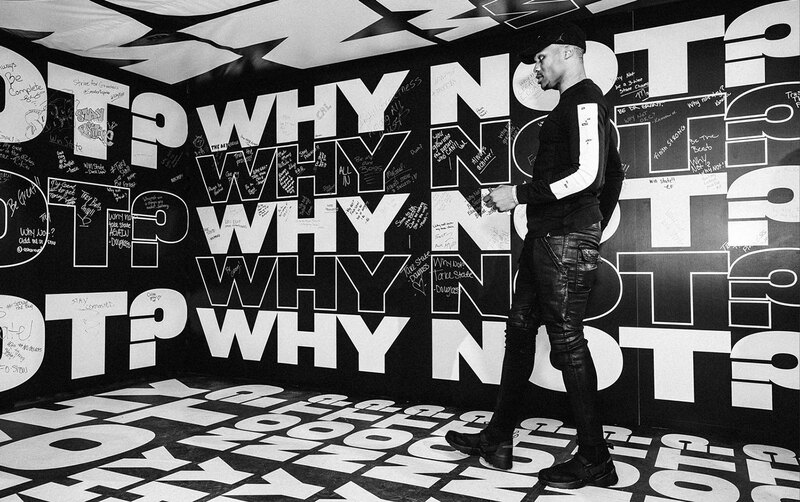 In pursuit of more impactful graphic designs, we expect from designers to surprise us with creative pieces in which typography is an active part of the design interacting with real life objects and people. 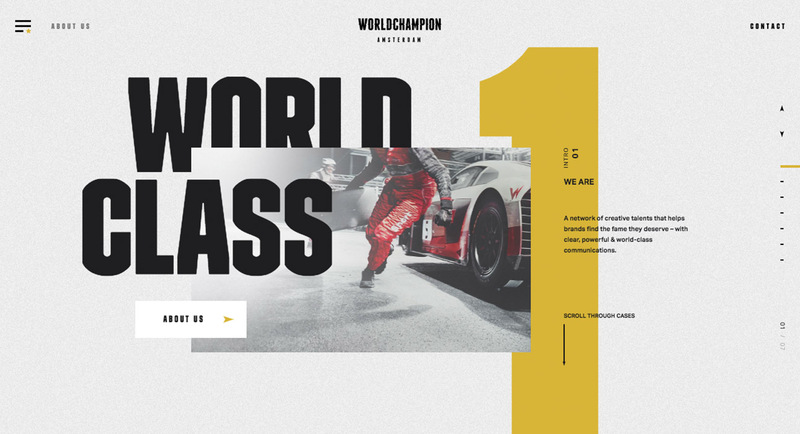 Combination of different font weights and density values, combinations between vertical, diagonal, and horizontal orientation, and even messy typography looks will be the norm in 2019. While other outline elements seem to have gone out of style, outline typography is becoming more and more popular, so we expect that it will definitely reach its peak in 2019. 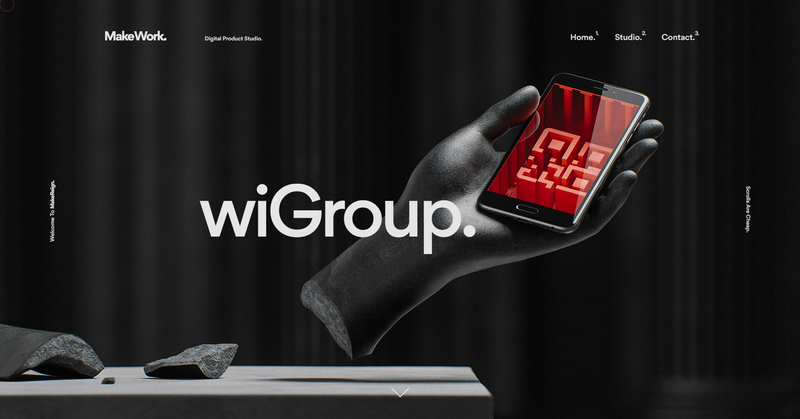 Often interacting with other elements in the compositions, we believe that outline letters in 2019 will be a major part of graphic design and web design next year, so we are definitely including this look in our prognosis for graphic design trends 2019. Maxi outline letters will often be seen on website designs, interior designs, brand identity designs. 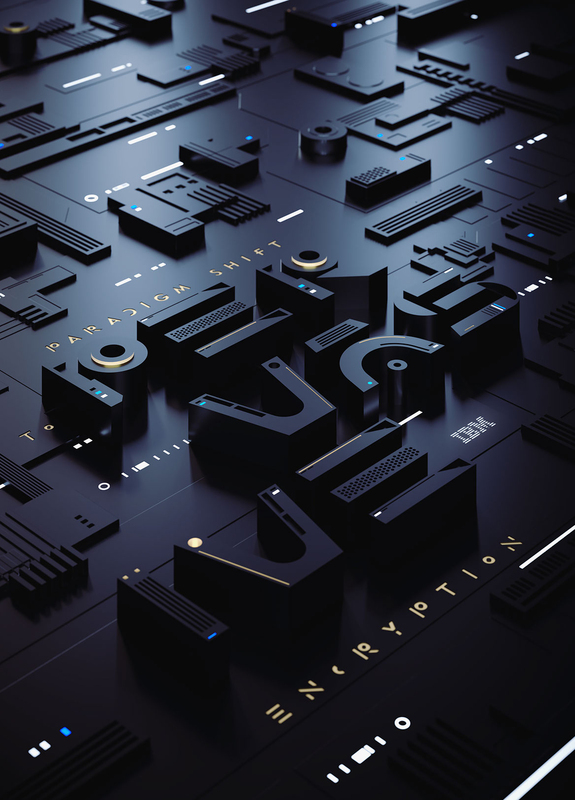 Graphic design trends 2019 will be marked with big outline lettering mixed with open compositions and 3D structures. 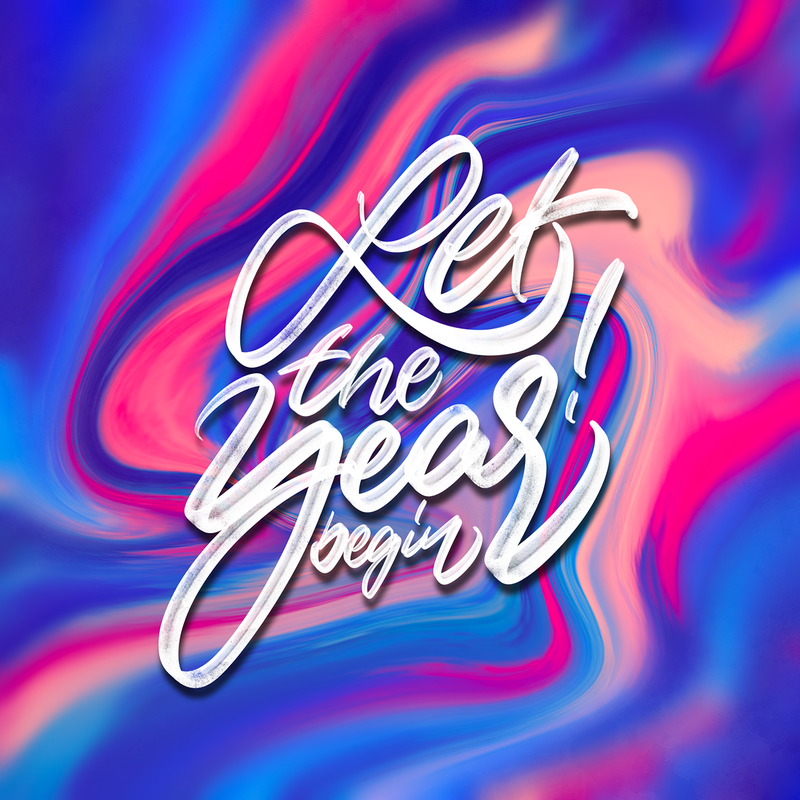 A bit risky prediction here but let’s say we have a feeling that text on background boxes will be among the graphic design trends 2019. The trend that may look retro to some can most certainly boost the edgy look of a composition combined with other trends that are riding the wave. From our point of view, text on background boxes looks youthful and rebellious, so it’s definitely going to be a hit quite soon. 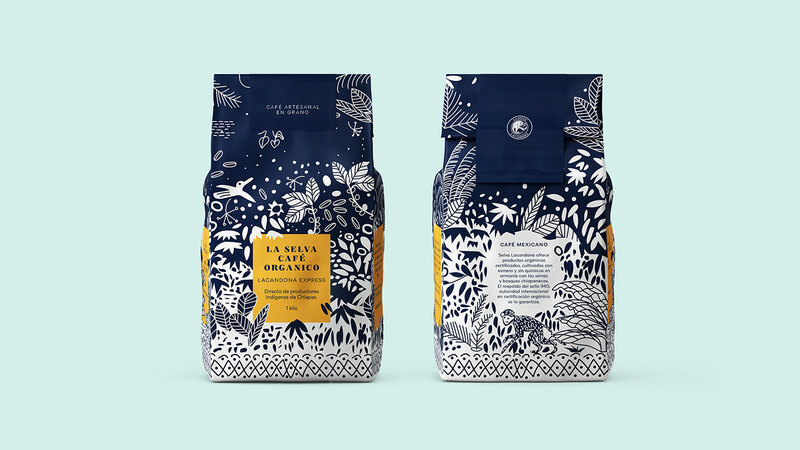 Not that classic illustrations are ever going out of style but somehow incorporating alternative art into the graphic design makes the piece stand out. And that’s the point of graphic design, isn’t it? In 2019, we believe we’ll be seeing a lot of improvisation in this field. Freestyle illustrations and doodles are definitely fun to look at. Add chaotic strokes and stains of color and there you have an artsy looking offbeat design that certainly makes an impression. 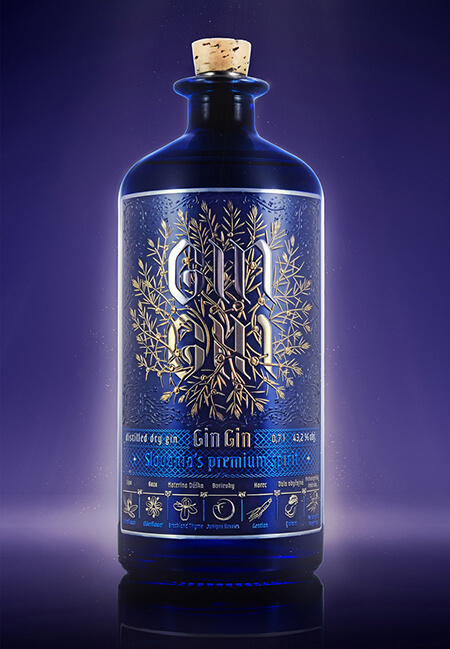 The trend is already entering the package design field, often in combination with other trends such as the metallic effect. The careful selection of colors and the unique shapes and positions in which strokes and stains are presented will certainly take package design out of the boring zone. We are used to seeing classic doodles in the form of black-on-white simple concept illustrations. 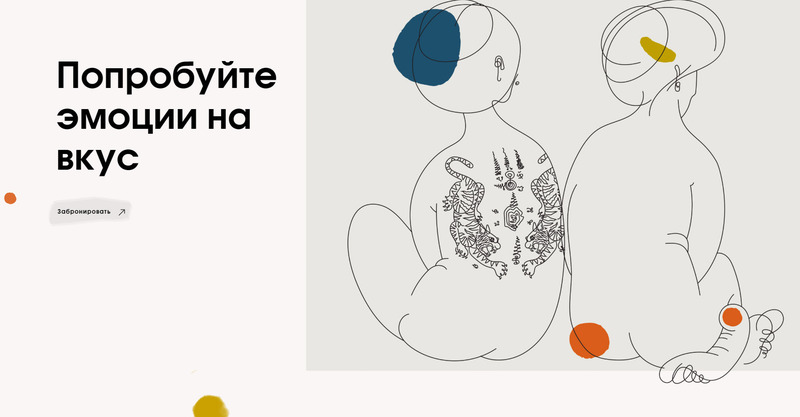 In 2019, we expect a more modern translation of the look like white on a dark background, combined with other design trends such as golden but still keeping the simplicity of the illustration style. Doodle illustrations often give the impression of infinity, so we expect to see them as a part of open composition designs. Have you heard that the opposites attract? 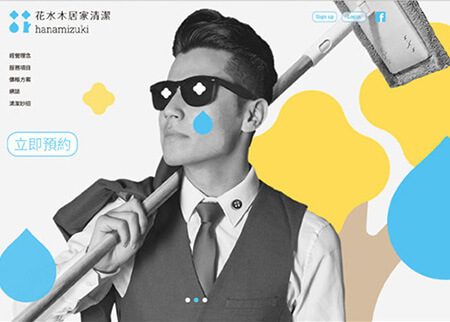 Graphic designers have always been combining and mixing complementing trends in order to please the viewer’s eye. 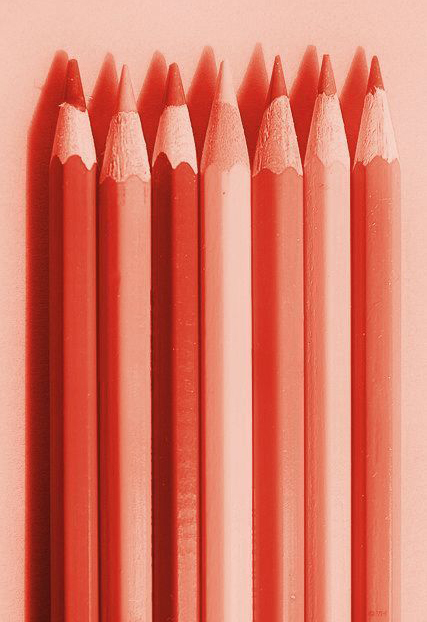 But when it comes to creating something really innovative and unexpected, designers prefer to experiment with an unconventional mixture of techniques, styles, or in this case – dimensions. 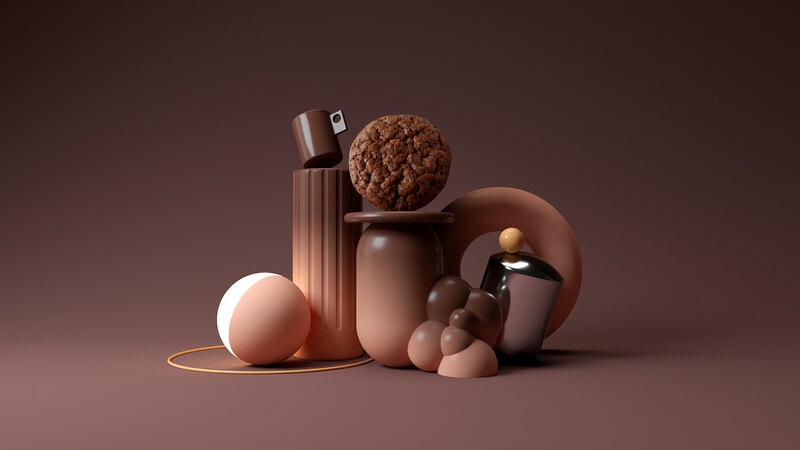 Real-life objects combined with completely flat visual elements, in our opinion, will be one of the graphic design trends 2019. 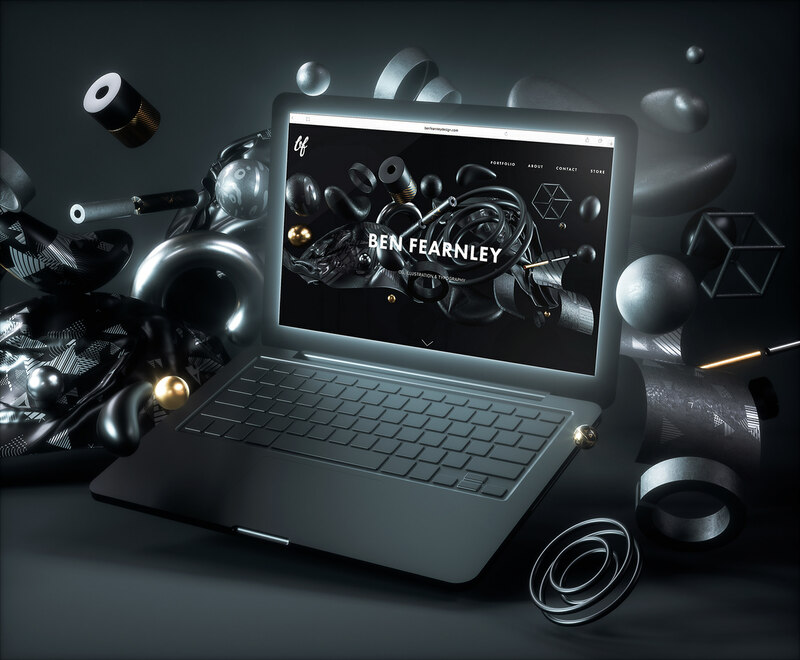 Often seen on website designs, package designs, editorial design and other kinds of graphic designs, the combination of realistic objects with fully flat simplified design elements and illustrations requires creativity, mastery, and most importantly, thinking outside of the box. 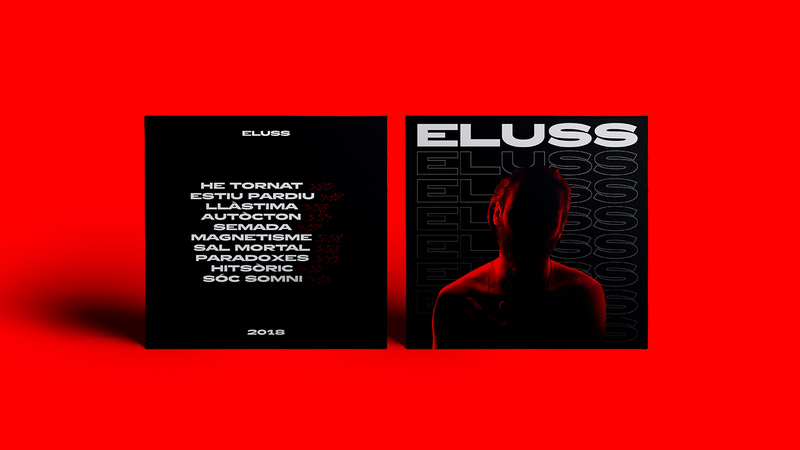 This is why we put it straight into graphic design trends 2019 predictions. Each year, there are designs inspired by the color of the year. Around the end of each year, the color dictator Pantone announces what the color of the next year would be. Naturally, this color makes it into all fields of graphic design industry including web design, package design, print design, etc. 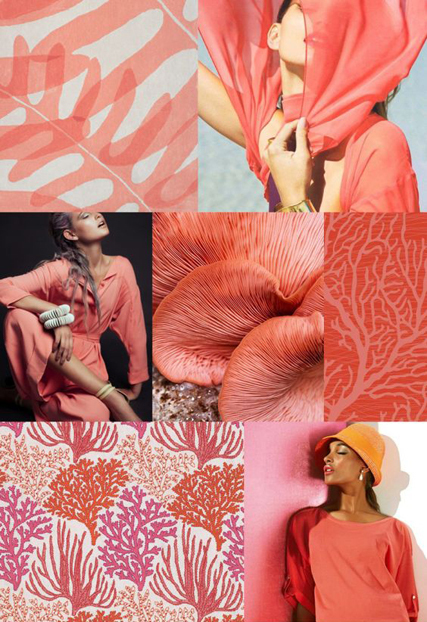 For 2019, the color of the year is called Living Coral and it’s an energetic hue of coral with an undertone of golden. 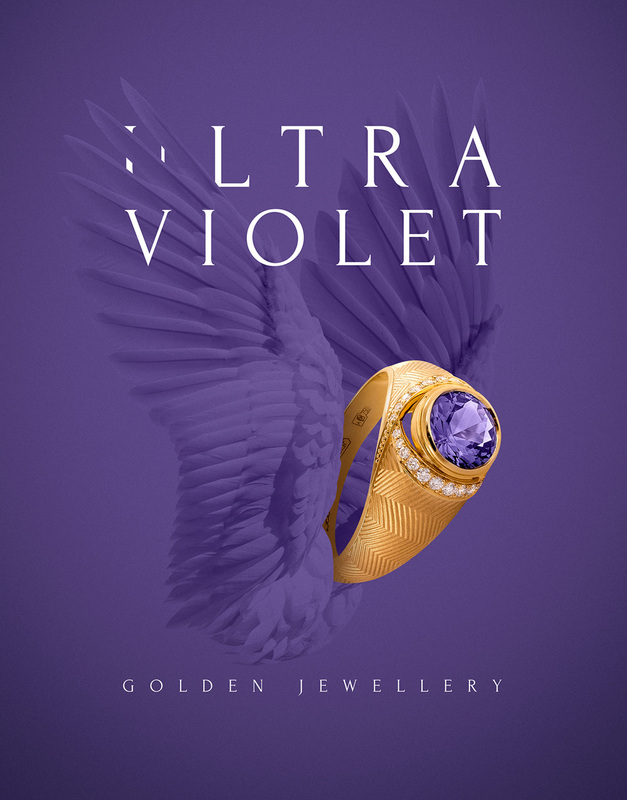 For 2018, the color of the year is called Ultra Violet – a luxury and mystique shade of purple. 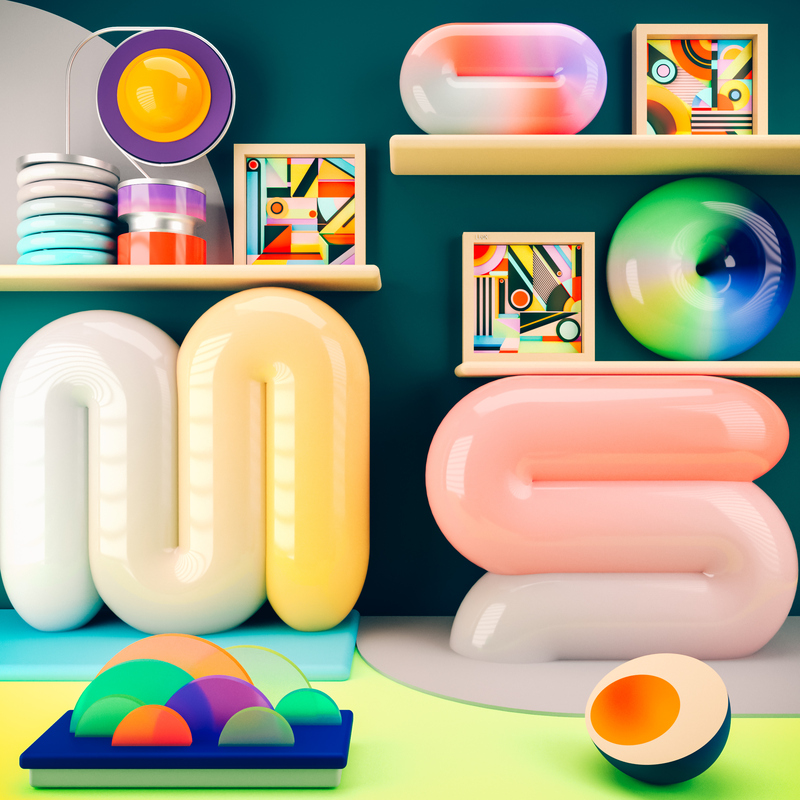 Graphic design trends 2019 promise quite an interesting year ahead of us. The next 12 month will be filled with glamour, vivid colors, and movement that breaks the rules of physics. 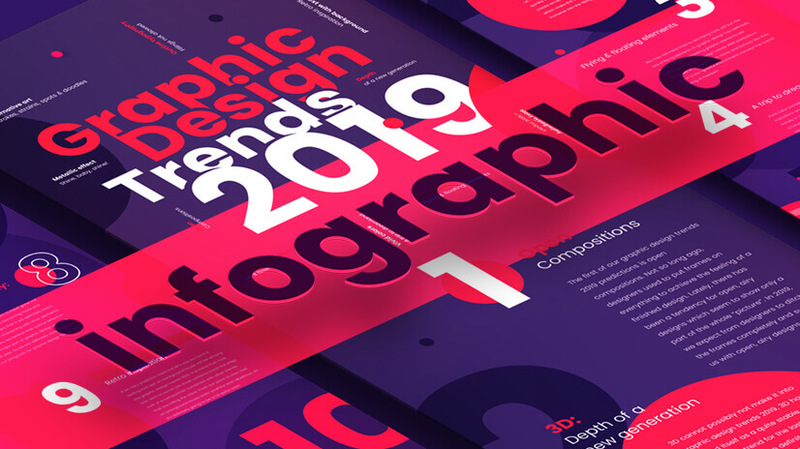 We truly believe that graphic design trends 2019 are the bomb, so we put them together in a cool infographic. Nothing provokes emotion better than motion. 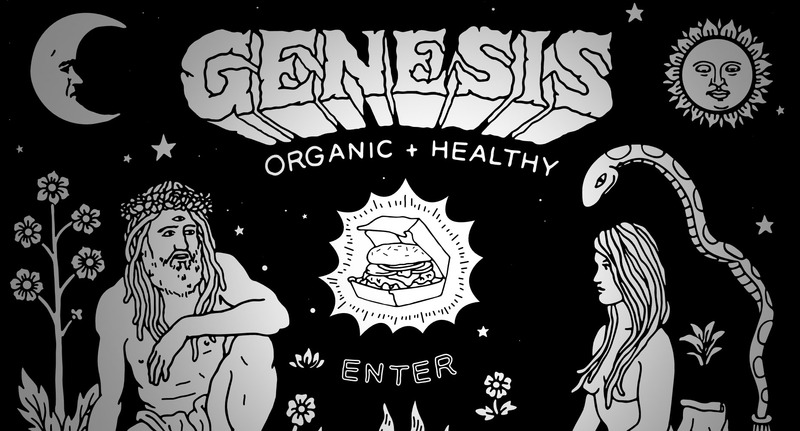 We’ve made a cool video recap of graphic design trends 2019 that will help you spread the word of what awaits. Enjoy! Just to sum up everything we’ve covered here, in 2019 we’ll be seeing a lot of open composition designs that tap into the viewer’s imagination. 3D designs will be quite mass but certainly not boring – their realism will almost make the viewer immerse into the composition. Vivid color schemes, as well as metallic elements, will make the designs look pretty and dreamy. Typography will be huge! And quite often – outline. We’ll be seeing art in its most unconventional forms and shapes, and of course, a combination of all of these trends and maybe some that haven’t thought of yet, will please the eyes in 2019. 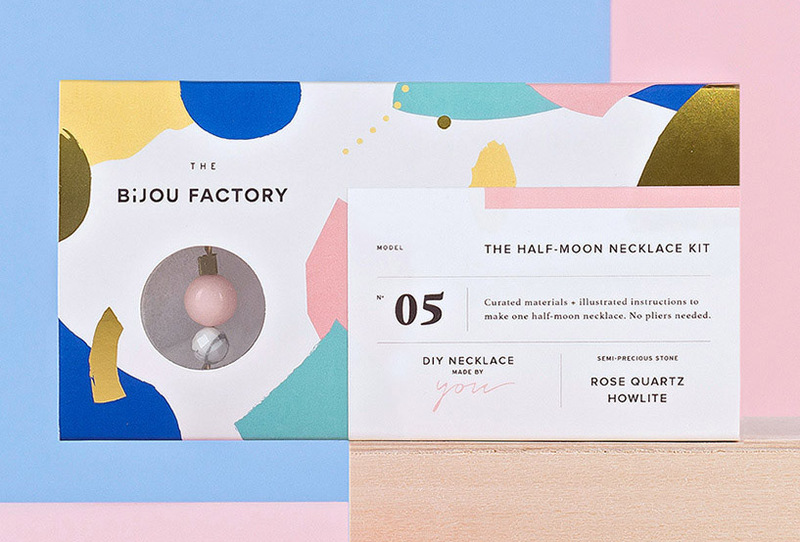 What do you think about these graphic design trends 2019 predictions? Waiting for your thoughts in the comments below. Hello! Can I translate this artical to russian and repost to my own site? 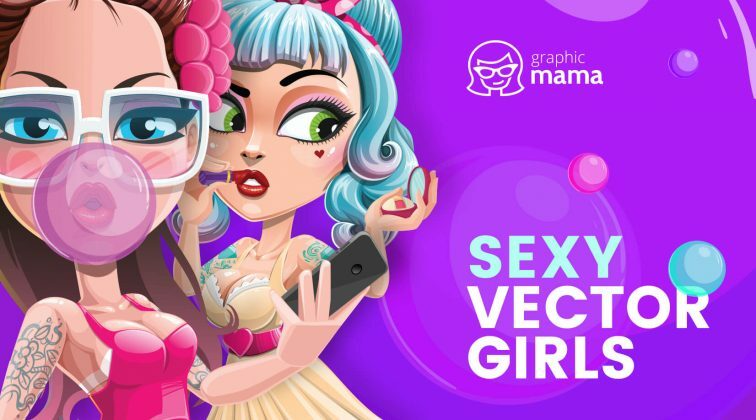 Yes, as long as you cite GraphicMama as the original author and link back to this article. You combined an eye for detail with a wide sweeping perspective to curate this well presented list of trends. Well done (as always)! Great summary of the current trends in logo design. 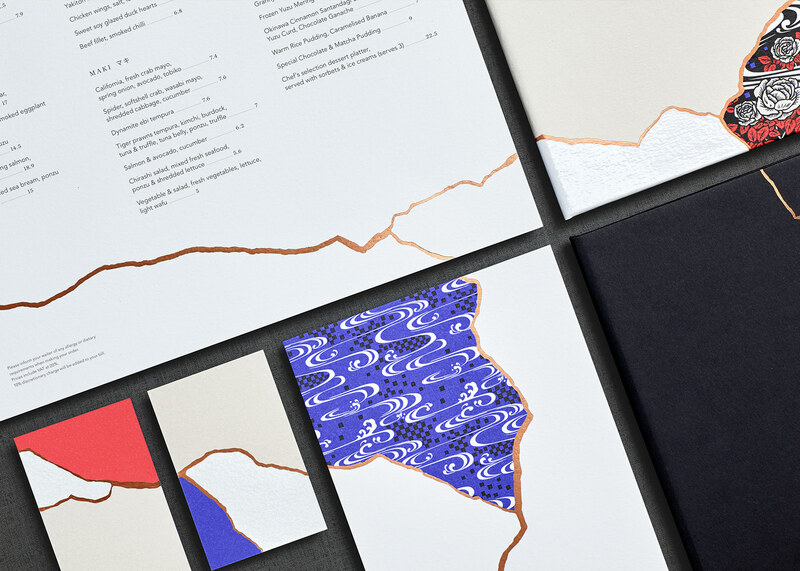 Vivid colors, metallic effects and text on backgrounds particularly stand out. Tip: if you want to create a modern logo yourself, hop on over to https://mybrandnewlogo.com . It’s a new free logo maker that’s able to produce most of these effects. It’s fun to use too! Very helpful content for Graphic Design God Bless.Thanks lots. Great article! Curious about how you came to recognise these trends? Is it based on any data or analysis, or just your team’s amazing knowledge and observations? Hi, @disqus_0dhpVgNJK4:disqus and thanks for the nice words! 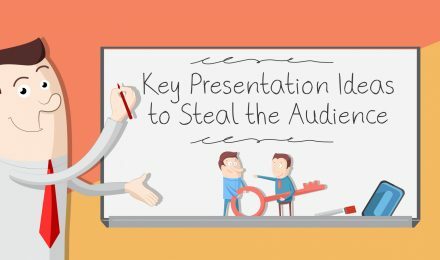 This article is a result from research and observation on the current graphic and web design, as well as analysis of the directions graphic designers are taking. Great article! It’s so surprising how all the design trends had changed over the years. That’s true or just kidding?